The House passed its “Tax Cuts and Jobs Act” November 16th and the Senate passed its version December 2nd. Both bills would raise taxes on many low- and middle-income families in every state and provide the wealthiest Americans and foreign investors substantial tax cuts, while adding more than $1.4 trillion to the deficit over ten years. 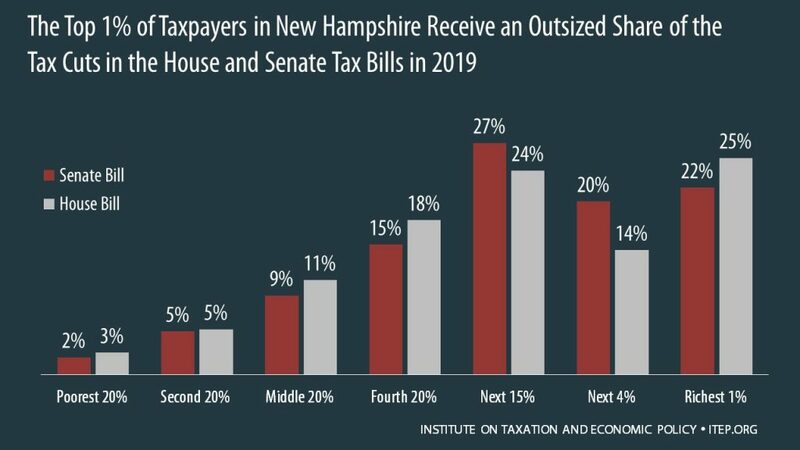 The graph below shows that both bills are skewed to the richest 1 percent of New Hampshire residents. Additional data on the impact of the Senate and House tax bills on New Hampshire residents can be downloaded here.